(Helleborine (Epipactis helleborine) - 01) We spotted these helleborine growing in our yard. This one is about 1 foot tall, but they can grow up to 3 feet in height. 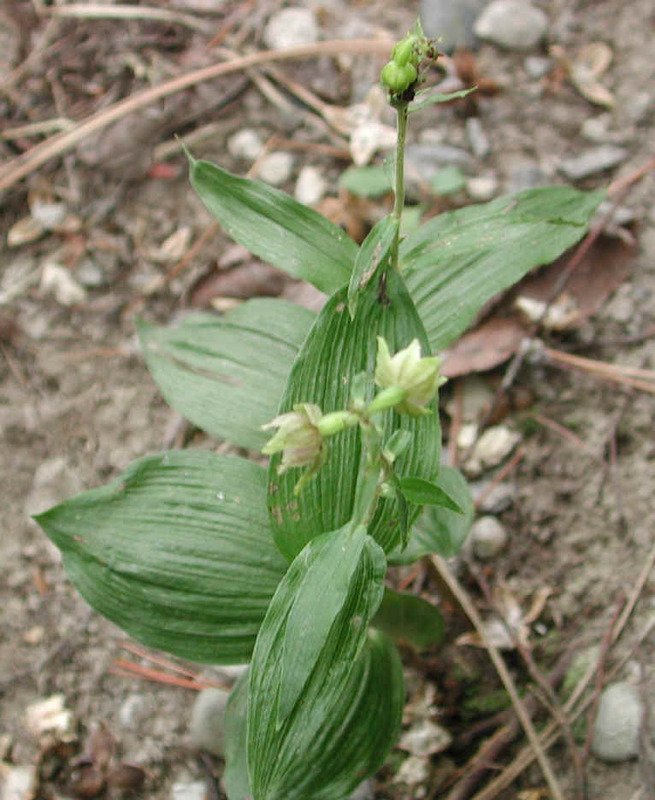 Helleborine is a member of the orchid family (Orchidaceae), and was imported from Europe, where it is native. 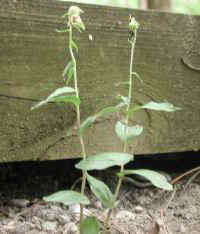 The flower stock (raceme) in the background is going to seed.